in your left hand and check the time on your wristwatch. Trust me, this seemingly innocuous gesture results in disaster. Don’t believe me? Play pretend for a minute and try it. See what I mean now? while wearing only a diver’s mask. Did you think there was some secret way to breathe inside your mask without a snorkel? No, there isn’t. Those deep sea divers just learn to hold their breath for long periods of time. You should too. 3. Apply your makeup while driving. This could result in your car sliding on a patch of ice, hitting a ditch, and flipping. You’d be lucky to make it out alive, and the EMTs would not even notice that new shade of Bobby Brown lipstick you smeared because they’d be busy wrapping your broken face in gauze bandages. No excuses. Don’t do it. 4. 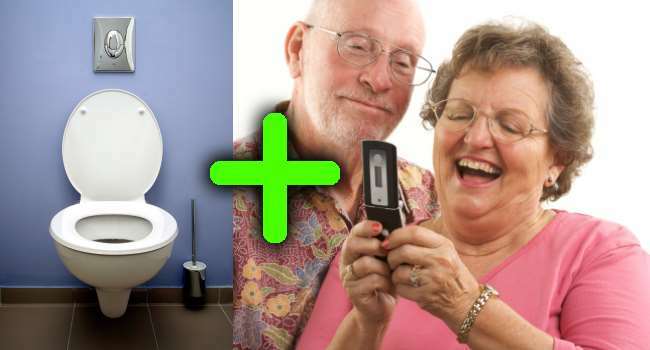 Talk on the phone while using the toilet. I’ll bet you think I’m going to say it’s rude, right? No, I’m going to say that eventually you’re going to need the hand that’s holding the phone to, um, help clean up and pull up. Unless you want to walk around the house with your britches at your ankles while talking to your girlfriend. That would just be weird. And rude. bite size baby hamster while petting your cat. I know you want to share the love, but the quality time has to be individualized. Otherwise, your cat may be coughing up hamster balls instead of fur balls. while riding on a roller coaster. First of all, I’m surprised I have to even tell you this. Everybody knows that sauerkraut doesn’t mix with nausea. You’re far better off with a crisp cucumber sandwich with a thin spread of butter. while inserting your contacts. Actually, no food is allowed in or near your eyeballs. Or your ears, for that matter. 8. Sneeze while operating on a patient. Now that we have hidden top-secret security cameras in every single operating room in the country, you’ll never get away with spreading your gross hospital germs again! That’s right, hospital security cameras everywhere! Wa ha ha! 9. Fly with a head cold. There is no medicine in the heavens or on earth that will save you from the pure agony of dealing with congestion 30,000 miles up in the air. If you do this, you will be begging for the flight attendant to keep the drinks flowing so you can pass out for the entire flight. while taking a bath. Okay, I’ve never tried this, and I doubt anyone else has, either. Then why, oh why, does this warning still appear in every blow dryer manual sold in America? Are we that stupid? Wait–why are we reading a blow dryer manual in the first place? Previous articleChocolate Chip Cookies. Enough Said. Next articleWhy Are Clowns Freaky?